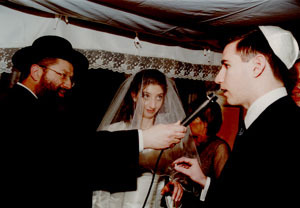 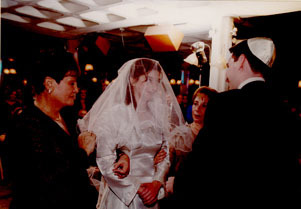 Irith being led to the Chuppah and Aaron placing the veil. 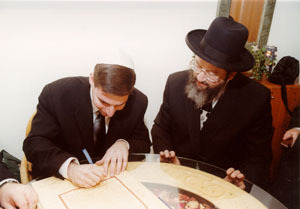 Aaron speaking Hebrew and putting the ring on Irith. 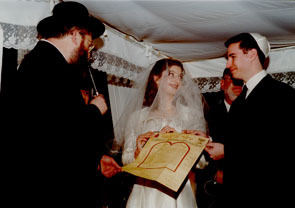 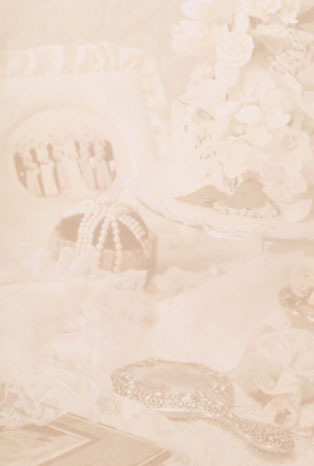 The Rabbi talking about the Ketubah. 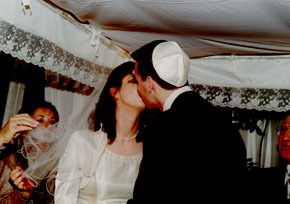 The kiss at the end of the ceremony.